Another blues-rock/progressive outfit whose album is of interest to collectors. We're talking a typical and average British blues album here which included a version of Willie Dixon's Bring It On Home and Big Bear Ffolly, a fast bluesy instrumental with Alvin Lee-like guitar work. Side two is dominated by two long tracks: This Worried Feeling, a typical slow bluesy number, and the heavier Son Of Moonshine. 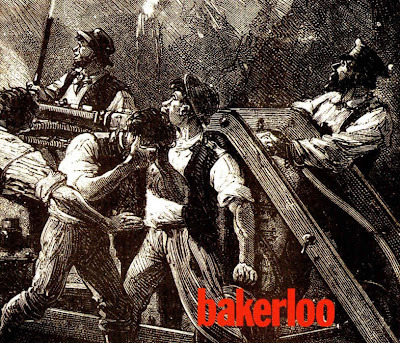 The Tamworth-based outfit began life as The Bakerloo Blues Line. Keith Baker and Terry Poole had both been in May Blitz. Some critics likened the band's sound to Cream. They were also afforded the honour of supporting Led Zeppelin at their Marquee debut. Musically the format is quite good jazz/blues rock. The band split up when Clempson accepted a very attractive offer to join Colosseum. Baker played on Uriah Heep's Salisbury album and then, along with Poole, later played with Graham Bond. (VJ/CA).